upsell your products & procedures. 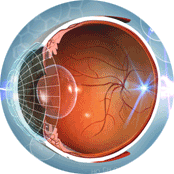 Easily demonstrate eye health and pathology within 20 seconds or less. 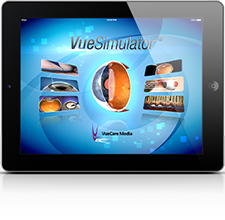 The VueSimulator software provides sophisticated animations, graphics and videos that mimic conditions and treatment options in one visually stunning, and easy to use all-inclusive package. 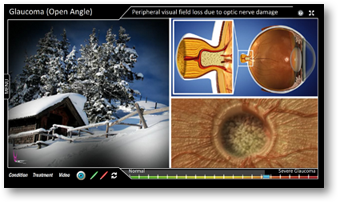 The VueSimulator allows you to visually demonstrate conditions, treatment options and products through interactive animations and videos. This software enables a greater ability for patients to visualize the impact of your recommendations, thereby facilitating communication through a fast and easy user experience. 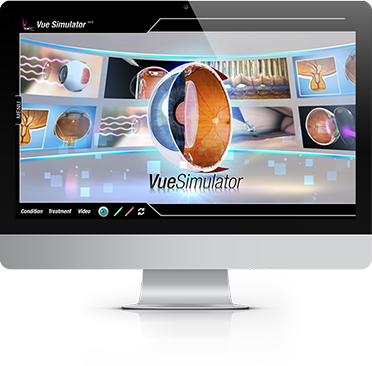 The VueSimulator was developed by doctors for doctors. 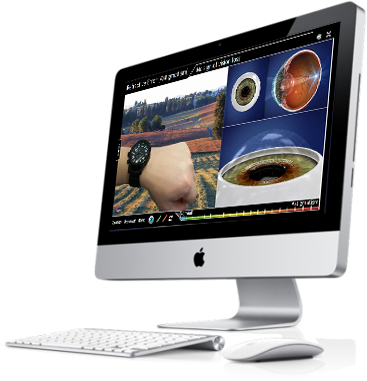 All simulations and videos are developed in-house, and are reviewed and tested by VueCare board of advisors – active doctors within the eye care industry. 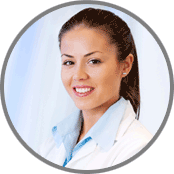 This interactive software simplifies and improves patient understanding, providing top quality care that leaves patients impressed, and adds value to your practice. The VueSimulator also doubles as an excellent training tool for new staff and techs. 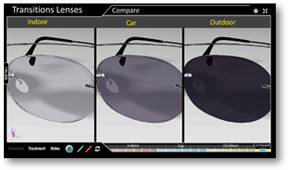 The software’s lifestyle examples from the patient perspective demonstrate the benefits of premium procedures and lenses that justify out of pocket expenses. Using 3D animations in place of real surgery footage, simulations and videos depict procedures painlessly and boost your revenue. These visuals say 1,000 words for you. 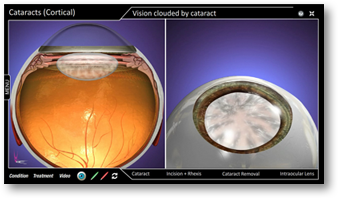 The VueSimulator’s graphics are strategically focused on translating words into premium surgery and optical sales activity. 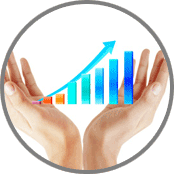 Our program is distinctly designed to help you spend less time persuading, and more time converting. The power of anatomy and pathology is in your hands. Control the progression of eye health to simply visualize the effects of eye conditions, and highlight benefits of recommended treatments. 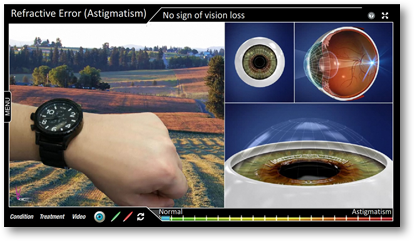 As you glide through the conditions and treatments, descriptive phrases of the patient’s eye health progression will display at the top of the screen. 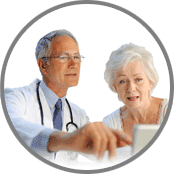 All users can now provide patients with accurate information while minimizing error. Ditch the plastic eye model. 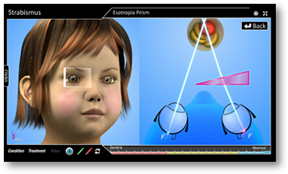 The Simulator is equipped with an interactive eye diagram that provides a more in-depth scope. Use your mouse as a digital pen to enhance talking points and highlight areas of focus. We utilized the power of the internet to deliver easy access to your favorite simulations and videos any time, anywhere. “Within the first 2 months I doubled, at least, conversions in premium surgeries, mainly premium IOLs. The proof is in my calendar – I have a much busier schedule. When we show patients some of the simulations they literally whip out their wallets. It just works!"